AC Milan are currently going through an injury crisis, and although it’s still a while off, the January transfer window could be crucial for Gennaro Gattuso. Mattia Caldara, Mateo Musacchio, Lucas Biglia and Giacomo Bonaventura have all been confirmed as long-term absentees, while captain Alessio Romagnoli has provided them with a real scare this week having returned from international duty early with a problem along with Davide Calabria, as noted by Sky Sport Italia. 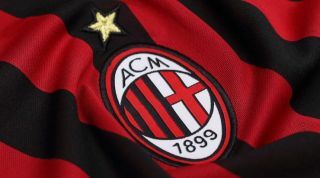 In turn, that leaves the Rossoneri dangerously light in defence and midfield, and so it remains to be seen what they do in January to fill those voids as they are aiming for a top-four finish in Serie A this season to secure a return to the Champions League. With so many key individuals sidelined, it raises real concerns over their ability to do so, while they face Lazio next Sunday in a clash with a direct rival for a place in the top four. According to Calciomercato, three names have emerged as potential solutions from January onwards to ultimately strengthen the core of the squad at the San Siro, and those names are Rodrigo Caio, Amadou Diawara and Zlatan Ibrahimovic. Caio would add quality depth in defence and could perhaps land a starting berth given the injury crisis at the back, while Diawara is said to be a target on an initial loan deal, but it remains to be seen if Carlo Ancelotti is willing to allow him to leave Napoli. As for Ibrahimovic, he would also be a fundamental addition as Gattuso is currently light in attack with only Gonzalo Higuain and Patrick Cutrone as his options up front across all competitions. Adding the 37-year-old would certainly add quality and depth, and as he has shown during his MLS spell, the LA Galaxy superstar still has plenty to offer. Meanwhile, the injury crisis won’t seemingly stop Milan from trimming their squad in the summer with various players seeing their contracts expire. As per Calciomercato, Jose Mauri, Andrea Bertolacci and Riccardo Montolivo are all being tipped to leave, although Ignazio Abate and Cristian Zapata could extend their stay. Depending on the number of signings in January and next summer, perhaps keeping some veteran experience would be a sensible move from the Italian giants.